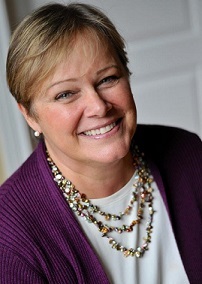 Martha became President in January 2019 and has been active with CHF since 2005 in various roles, both on the national level and with the CHF Illinois Chapter. Most recently she served as Treasurer of the CHF National Board. Martha has a Bachelor's of Science in Accounting and Finance from Northern Illinois University. As a CPA, she spent 5 years in public accounting with Grant Thornton. Martha's passion for CHF emanates from personal experience on the importance of CHD research. Martha's sister, Anna Marie, was born with a critical CHD during a time when there were no treatment options available for "blue babies". She lived only 3 days. When Martha's son Drew was born some 35 years later, thanks to advancements in CHD research, there were options for babies born with the critical CHD. Drew has had 3 open-heart surgeries and 8 cardiac catheterizations, and despite these obstacles, he is thriving college student today.